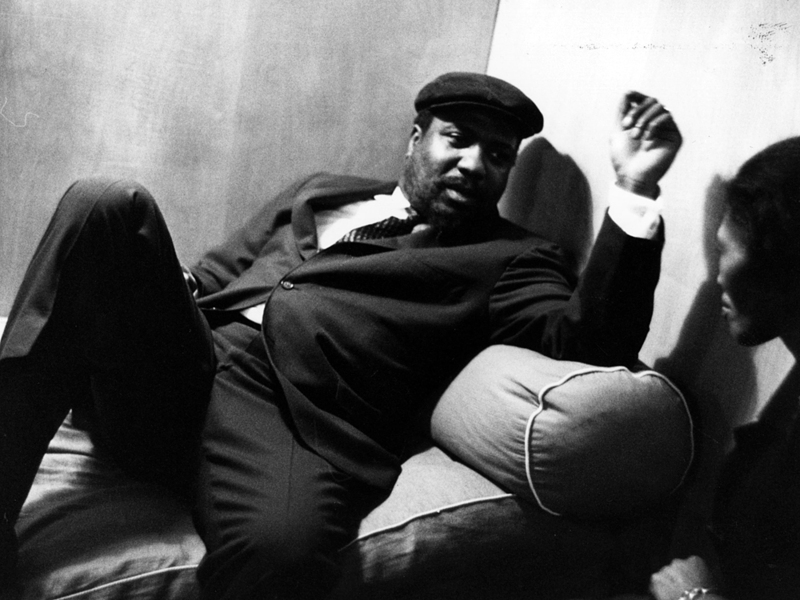 In A New Biography, Thelonious Monk Minus The Myth Robin D.G. Kelley spent 14 years on a new book, which some are calling the definitive work on a jazz legend. In Thelonious Monk: The Life and Times of an American Original, he portrays the great pianist as a trained musician, a psychiatric case and a father. A young Thelonious Monk (right), with his siblings Thomas and Marion, around 1940-42. Thelonious Monk relaxes with his wife, Nellie, before performing at the Royal Festival Hall in London on April 29, 1961. Biographer Robin D.G. Kelley wants to clear the air about Thelonious Monk. "His story challenges a very tired idea of the tortured artist ... committed to making an art by any means necessary," Kelley says. Kelley teaches history and American studies at the University of Southern California. He says Monk wanted people to enjoy his music — and purchase it, too. "He was someone who thought of music as a vocation: to keep his family afloat; his wife, Nellie; his two kids," Kelley says. "And so he took his work seriously." Monk died more than 25 years ago, but his music is still played and heard around the world. Monk's work was often discounted by critics and the general public during the better part of his first two decades as a performer. When critical attention came his way, myths were spun around him, many of which remain to this day. Among them: that he was difficult, a recluse, an untrained genius. 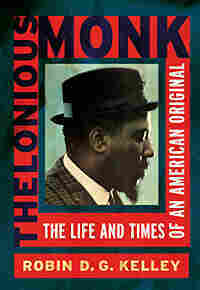 But in his new book, Thelonious Monk: The Life and Times of an American Original, Kelley tackles those enduring myths. He argues that Monk was not an isolated genius. He was connected to his New York City community, and he played benefits for the social causes of the day. And his talent was not some mysterious, God-given gift: Monk studied. "Well, I always did want to play the piano — the first piano I saw, I tried to play it," Monk said on a 1963 public television broadcast on New York's Channel 13. "I learned how to read before I took lessons, you know, watching my sister practice her lessons over her shoulder." That recording is but one of Kelley's discoveries over the 14 years he spent researching his book. In scouring roughly 300 interviews, he says he learned that Monk may have started reading music when he was 10. By the time he was 11, he began studying with a classically trained pianist named Simon Wolf. "The kinds of exercises he gave Thelonious came out of the books of Liszt, Chopin, Rachmaninoff," Kelley says. "These were the composers Monk was drawn to; Bach, Beethoven to a lesser degree." In addition, Kelley notes that Monk studied with the stride pianist Alberta Simmons, a contemporary of Fats Waller. Drummer T.S. Monk is the son of the famed musician. "For me, he was a father first, and then he was this Thelonious guy second," T.S. Monk says. In spite of his father's daily rehearsals at home — and a constant parade of musicians through the apartment, including Charlie Parker, Miles Davis and John Coltrane — in the most important ways, the Monks had a fairly normal household, with a mom who worked a day job. "It would be me, my father and my sister," T.S. Monk says. "He had on a wife-beater [shirt], and he was changing diapers — there was no such thing as Pampers back then, so these were funky diapers that you put in a bucket. And people don't think of Thelonious as Mr. Mom, but I clearly saw him do the Mr. Mom thing, big-time." T.S. Monk helped Kelley gain access to the pianist's personal effects — and to his widow, Nellie Monk. She played a central role in the musician's life and career, and she functioned to a great degree as his manager. She also gave her son rare recordings of Monk playing that had not been heard outside the family. Kelley calls them "just incredible gems." "And what I heard particularly in this wonderful recording of him dealing with the song 'I'm Getting Sentimental Over You,' " Kelley says, "you hear him first try to assimilate the song, understand its dimensions. And he's playing a passage over and over again. And it sounds like somebody who doesn't know the song, though you know he does. "And he works through it. And after about, really, 45 minutes of working through this, as if he's struggling, he suddenly gets his stride. And he obtains a kind of mastery of the song. And if there's any lesson in those tapes, it's that it was hard for Monk to play Monk." Kelley says it may also have been hard for Monk to be Monk. He was known to drink heavily and to smoke marijuana, and his struggles with what was initially described and treated as manic depression were ongoing. It took two decades before he got proper help for his bipolar disorder. T.S. Monk remembers a cold New York day with 3 inches of snow on the ground. "My father put on his slippers, his silk pajamas, his seal-skin hat — period," he says. "And we're walking down West End Avenue. And I knew I had to put on all my winter stuff, and I had to follow him to make sure that nothing happened to him." "I'd like to reach everybody, the public plus the musicians; that's the standard I set for my songs," Monk said. "Something that will get to the people's ear, plus ... no criticism from the musicians." "What he reminds the audience is that, 'Yes, I have a technical mastery of what I want to do — but I also have humor. And the humor is actually in the music. Part of what I want you to do is make you laugh, make you think differently,' " Kelley says. To think differently: That's part of Kelley's intention for his readers. But he says his motivation was to craft a portrait that both Thelonious Monk and his wife, Nellie, would have appreciated. Monk died in 1982, and his widow died in 2002, before Kelley completed the book. "I think that if they can see the truth in their own lives, then I've succeeded," Kelley says. "And it's up to us to try to figure out and engage that truth." 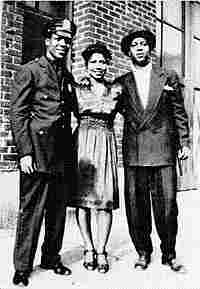 Mary Lou Williams first relayed the message to Thelonious. A white guy named Bill Gottlieb was looking for him. He worked for Down Beat magazine as a writer and photographer and he wanted to do a story on Monk. Monk was incredulous. For the past year he had been hustling for nickel-and-dime gigs. Now the nation's premier jazz periodical wanted to do a story on him? Publicity meant gigs, and Monk desperately needed both. 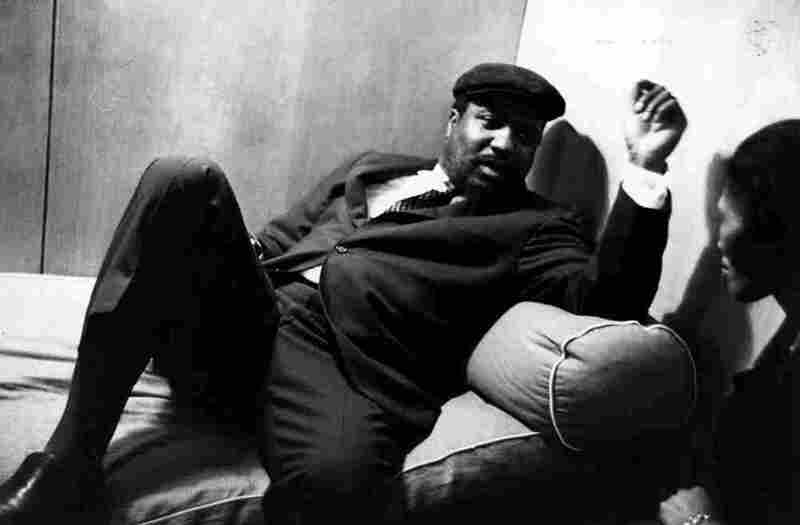 Williams arranged the meeting for early September, 1947, and instructed Gottlieb to meet Thelonious at Mrs. Monk's apartment on West 63rd. The bespectacled and intense Gottlieb looked more like a college professor than a typical jazz fan, but he knew his stuff. Born in Brooklyn in 1917, Gottlieb earned a bachelor's degree from Lehigh University and went on to work in the advertising department of The Washington Post. He began writing a weekly jazz column for the Post but because the paper had no budget for a photographer, he bought a Speed Graphic camera and took his own pictures. Gottlieb's reputation grew through his work with the camera. After a tour of duty in the service, he returned to New York City and started working for Down Beat in the spring of 1946. He covered most of the mainstream big bands and launched a feature he called "Posin'," candid shots of musicians with a sentence or two of witty commentary. He had become one of bebop's more enthusiastic champions. Just prior to meeting Thelonious, he had published several photos of Dizzy Gillespie, Charlie Parker, and Miles Davis, including what would become an iconic image of Gillespie posing with a beret, glasses, and goatee -- Monk-style. Why the sudden interest in Monk? Virtually every arts and entertainment magazine was scrambling for anything related to the hottest trend in music -- bebop. Besides the jazz mainstays -- Down Beat, Metronome, The Record Changer -- popular magazines such as The New Republic, Esquire, and Saturday Review began carrying profiles, editorials, and curiosity pieces on bebop and its major players throughout 1947, a good six months to a year before debates over the new music began to really heat up. The battles were fierce: bebop was great, or terrible. No one could define it musically, but that didn't matter. Musicians felt compelled to enter the debate, and some of the genre's prominent voices -- Mary Lou Williams, Tadd Dameron, and Lennie Tristano -- published articles defending the new music from its detractors. Of course, those musicians who came to represent the different camps continued to call music "music," and neither generational nor stylistic differences kept them from sharing the bandstand or a recording studio. But collaboration, flexibility of style, and ambiguity in genre distinctions didn't sell magazines. Bird and Diz suddenly became the new heroes -- or antiheroes, depending on one's stance -- in the jazz wars. And in virtually every interview they granted, they mentioned Thelonious Monk. Monk had mastered the new harmonic developments; he was one of the pioneers at Minton's Playhouse. Suddenly Monk came across as the 1940s version of Buddy Bolden, that missing link who started it all but then disappeared. To Gottlieb, he was "the George Washington of bebop." Gottlieb first laid eyes on Monk the previous summer at the Spotlite when Monk was still with Dizzy's big band. Gottlieb enjoyed the music but was even more fascinated by the visual spectacle: "You could recognize [Monk's] cult from his bebop uniform: goatee, beret and heavy shell glasses, only his were done half in gold." From that moment on, Gottlieb wanted to have a conversation with Thelonious, but claimed he could never find him. When Gottlieb and Monk finally did meet, they hit it off famously. They were the same age, they both really dug the Claude Thornhill band, and had a thing for Billie Holiday. Gottlieb had shot some gorgeous photos of Holiday that were published in The Record Changer earlier that spring, and Thelonious kept a photo of Billie taped to his bedroom ceiling. "In the taxi, on the way up," Gottlieb recounted, "Thelonious spoke with singular modesty. He wouldn't go on record as insisting HE started be‑bop; but, as the story books have long since related, he admitted he was at least one of the originators." But Monk's interpretation of events may have been less modest than Gottlieb realized. "Be-bop wasn't developed in any deliberate way," he explained in the interview. "For my part, I'll say it was just the style of music I happened to play. We all contributed ideas …" Then he immodestly added, "If my own work had more importance than any other's, it's because the piano is the key instrument in music. I think all styles are built around piano developments. The piano lays the chord foundation and the rhythm foundation, too. Along with bass and piano, I was always at the spot [Minton's], and could keep working on the music. The rest, like Diz and Charlie, came in only from time to time, at first." Once they reached their destination, Monk headed straight for the piano. Former manager Teddy Hill and trumpeters Roy Eldridge and Howard McGhee just happened to drop by, though it's likely Gottlieb had tipped them off beforehand. Gottlieb took several photos of Monk at the piano -- playing, posing, looking anything but mysterious in his slightly oversized pinstriped suit and dark glasses. Most of the shots are hatless, but Gottlieb persuaded Monk to don his famous beret for a few. Monk wasn't just posing, however. He was up there to work. Gottlieb observed how McGhee "got Thelonious to dream up some trumpet passages and then conned Thelonious into writing them down on some score sheets that happened to be in the club." Then Gottlieb coaxed the men to step outside for an impromptu photo shoot. He produced one of the most widely circulated and iconic photographs in jazz history. Four pioneers of modern jazz standing abreast beneath the awning at Minton's Playhouse, the house that "bop" allegedly built. The published photo is rich with wit. Gottlieb created a Mount Rushmore of modern jazz, with Thelonious positioned on the far left in George Washington's spot. Excerpted from THELONIOUS MONK: The Life and Times of an American Original by Robin D.G. Kelley. Copyright © 2009 by Robin D.G. Kelley. Excerpted with permission by Free Press, a Division of Simon & Schuster, Inc.